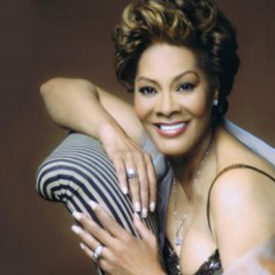 Billboard magazine notes that with no less than 55 hit singles Dionne Warwick is the second most charted female artist in the past 40 years. As the “voice” behind a decade of classic tunes written with her in mind by the famed team of Burt Bacharach & Hal David, Dionne established herself as an international superstar in the 1960s and through an incredible body of recorded work that now stretches to over 40 albums, the golden lady with the instantly recognisable voice has charmed and entertained audiences quite literally on every continent, amazing a global audience from Rome to Rio, from London to Lagos and from Manhattan to Madrid: and while she has been the subject of countless cover stories and feature articles, there are a few important “firsts” that make Dionne Warwick a true pioneer. In all, Dionne, Burt & Hal racked up 30 hit singles and close to 20 best selling albums during their first decade of gold. Tunes like Do You Know The Way To San Jose? Message To Michael , This Girl’s In Love With You and I’ll Never Fall In Love Again established Dionne Warwick as a consummate entertainer. Known as the artist who “bridged the gap” Dionne’s music transcended race, culture and musical boundaries, a soulful blend of pop, gospel and R&B. By making her debut performance – and introduced by the legendary Marlene Dietrich – at The Olympia Theatre in Paris in 1963, Dionne also became the first black female pop and soul singer to achieve international stardom. As she was establishing herself as a major force in American contemporary music, she was simultaneously winning over audiences throughout Europe through early hits like Anyone Who Had A Heart and Walk On By . She was also the first black female performer to appear before the Queen of England at The Royal Command Performance in 1968 and since that time, Dionne has performed before numerous kings, queens, presidents and heads of state the world over. Never one to rest on her laurels Dionne Warwick has once again applied her creative magic to Dionne Sings Dionne , a sparkling album on River North Records that gives a new twist to some of her timeless hits while adding some wonderful new future classics to her amazing repertoire. It is the one-of-a-kind artistry that Dionne Warwick displays on her River North debut that has made her one of contemporary music’s most enduring superstars. Captivating audiences is something that Dionne has been doing since Burt Bacharach first heard her back in 1960. Before she ever made it to the studio, Dionne had been singing since her childhood days in East Orange, initially in church and occasionally a soloist and fill-in voice for the renowned Drinkard Singers, which consisted of members of her family, managed by her mother. 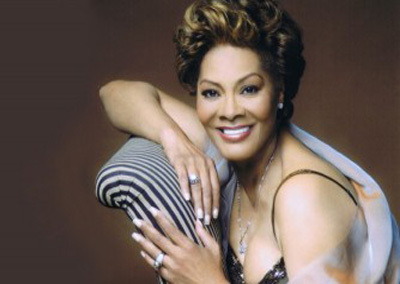 Over an illustrious career that has spanned close to four decades, Dionne Warwick has established herself as an international household name. Her reputation as a hit maker has been firmly etched into public consciousness, thanks to the nearly 60 records that have made the charts since Don’t Make Me Over began its fateful climb up the charts in the early months of 1963. Her recent musical achievements have included performances as part of the “National Symphony with The Divas” and in Tokyo with The National Opera Company of Japan – yes, Dionne even sings classical music! The recipient of countless awards, Dionne’s status as a musical icon and humanitarian is legendary. With her own star on the Hollywood Walk of Fame, she continues to work tirelessly with various organisations dedicated to empowering and inspiring others through her performances, her music and through her work as a humanitarian.